Jerry is known through TKO as the Sultan of Swap. Jerry regularly recites axle, transfer case, and transmission combinations from just about every year of 4x4, no matter what make or model. If it's a 4x4, chances are, Jerry can tell you what driveline it has under it. 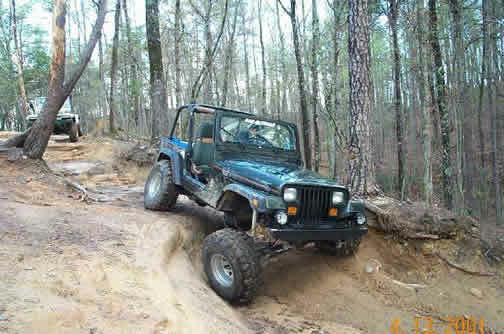 Jerry is currently a Trail Guide for Jeep Jamboree USA. TJ gas tank raised 4"
Jerry's brother is a blue grass musician who's band recently won the National competition of all blue grass bands.